Help! 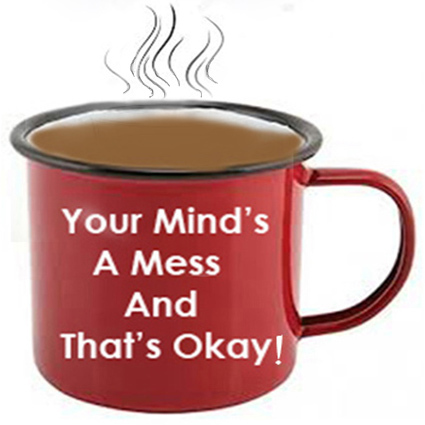 I’m Distracted – Your Mind's A Mess, And That’s Okay! Being aware that you got distracted and going back to what you wanted to focus on is meditation. It’s not about having a ‘clear mind’. It’s noticing what’s actually happening with your thoughts. Most of that will be taken up with emotions, worrying, planning your shopping and fantasising about Russell Brand or Carla from Coronation Street. DON’T GIVE GIVE YOURSELF A HARD TIME ABOUT THIS. Everyone gets distracted – it’s how your monkey brain works. Pat yourself on the back for the moments you noticed you were lost in thought. That’s doing it right.